Chaos is terrible, personally I don’t understand how someone lives in chaos. My husband is a prime example, he thrives in chaos and clutter. If I don’t clean the house for a day or two then he can find everything and I can not, I am the opposite, I get overwhelmed and stressed out. I have to have everything clean and organized. Everything has a spot! I thrive in organization and can find everything. I am also less stressed and I do not get overwhelmed and get so much more accomplished. 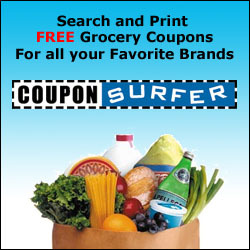 If your looking for ways to organize your home and life. I can certainly help you. I will share with you 5 key points to staying organized. These 5 key points keep this stay-at-home mommy sane. Self-motivation as a mother you have to motivate yourself to accomplish anything right? Self-motivation is a very big key point in organization. If you do not motivate yourself to be more organized then you just won’t do it. Consistency okay so you have to stay consistent with your kids to teach them basically anything. Right? Well, staying organized is the same consept. You have to stay consistent with it or you will end up in your old lazy ways piling up in clutter and forgetting important tasks. Create a schedule and daily routine this key point is very important people. Creating a weekly or monthly schedule and having a set routine is a huge help. It really makes a difference at home and for you personally. 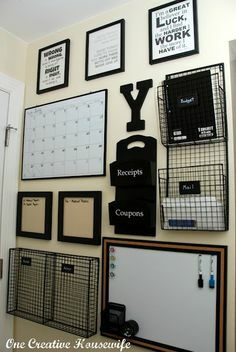 Buy a planner, a calender, a white board, a note pad or sticky notes if you want and create a visual display wall in the room you spend most of your time. In the planner write down the days and times you work, appointments you have to be at, activities, meetings, whatever the case put it in that planner (it goes everywhere with you)and then on the calendar (same info as the planner). This will help you make sure you do not miss anything important. Then on your white board create a daily schedule. I do this every night before bed that way I know what to accomplish each day. 6 am- wake up, have coffee, shower and get dressed. 7:30- wake the kids up, let them watch a movie while cooking breakfast. 8 am- eat breakfast, wash up kids, brush teeth. 8:30- send the kids outside if it is nice, if not send them to the play room. Refill coffee! Clean the kitchen and dinning room. 9:30- clean and organize living room. 10 am- quick clean up in the bathroom and start laundry. Noon- lunch and take a break and spend time with the kids. This usually involves a messy project. 1 pm- dr. Appointment schedule all appointments after noon so you don’t have to rush right as you guys wake up. 3 pm- run necessary aarons. After each hourly task is accomplished cross it off the list. Beside the white board is your note pad that has your shopping lists and phone lists on for you to accomplish daily as well. Once you do this for a month it becomes a necessary habit for you. Categorize categorizing things makes life easier and everything having a place in your home is important for staying organized as well. In the kids play room have bins with labels such as dolls, cars and books. Tech your kids to clean up and place each item in the correct spot. Children should start doing chores at age 4, it helps them develop certain cognitive and behavioral skills. It provides structure and a sence of responsibility early in life. Anyway, In your pantry place everything in rows categorizing it corn, green beans, peas and so on. I have been told categorizing using a color system helps as well. If you can not find a spot for something then throw it away or give it away, you obviously don’t use it nor really care about it. Don’t be a hoarder! DON’T MAKE EXCUSES making excuses is the number one problem with not accomplishing daily goals. Just get in the right mind set and do it. Mommy you control the show, if you can make it a habit to wake up at the same time and get 8 hours of sleep feeling amazing, then you can stay organized. Focus on your life and your goals. Follow a plan, this helps stay organized and know what has to be done. Then at the end of the day you feel relieved and happy and tomorrow you won’t have to work as hard. Also, by then end of the month the house chores will be easy and quick tidy ups only taking 2 hours instead of spending half the day making decisions. After a month as I said this becomes a old habit. Your home will be cleaner, you will have more “me time”, and each goal you set will be easier to accomplish. Take the time to organize your life and your families lives. After all mommies, we are tomorrow’s example! Share your skills and knowledge with them. Well there you have it, 5 key points to staying organized in your life. I hope this helps. Feel free to add important tips and tricks for staying organized. Here are some resources for you to see inspiring ways to organize your home and life. Wow, you really are organized!